The Little Sisters of the Poor have been in Kansas City a long time! Their work started in 1882 when six Little Sisters made the trip to Kansas City to open their first Home. 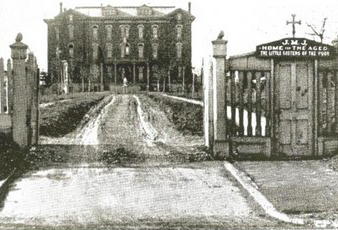 They opened St. Alexis Home for the Aged in a building at 31st & Locust that was originally built to house widows and orphans of the Civil War’s Confederate soldiers. They lived and served at that location until 1923. By 1982, the Little Sisters of the Poor needed to build a new, more modern, functional Home that met the changing Federal and State regulations. With the help of many generous benefactors, our current Home, Jeanne Jugan Center, opened at 8745 James A. Reed Road in 1987 and was designed around the many special needs of the elderly. 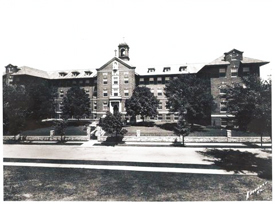 It is such a joy to hear stories from people who remember dropping off donations or volunteering at the old Home on Highland; or to talk to those who played in the neighborhood as children, and have stories of the Little Sisters and Residents there. What a wonderful city this is to call home. Here’s to another 130 years in Kansas City!